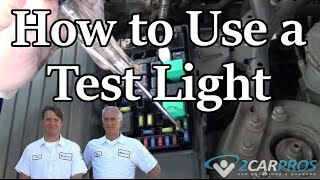 Easy step by step guide on how to use an automotive test light, information pertains to all 12 volt vehicles. Step 1 - A test light is needed to perform electrical power and ground testing to facilitate automotive repairs, this tool is easy to use and is reasonable priced. Step 2 - Before staring any testing the test light itself must be tested, connect the clip or clamp to a known ground source, in this case the battery negative terminal is being used but almost any metal surface on the vehicle will work. Gently, touch the test light probe to a known power source, we use the battery positive is this example but any known power source such as a fuse or positive battery cable will work. Step 3 - Once the test light is properly grounded, it can be used to test not only fuse condition by touching each side of the fuse, it also confirms power at the fuse. 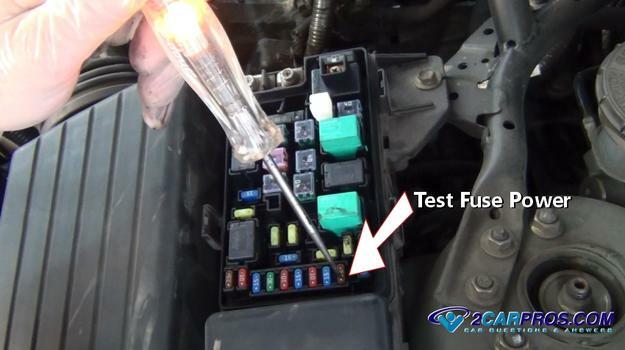 If an accessory has failed such as brake lights and the fuse tests okay, testing can then proceed further down the circuit such as the brake light switch and so on, a wiring schematic is useful when performing these tests. 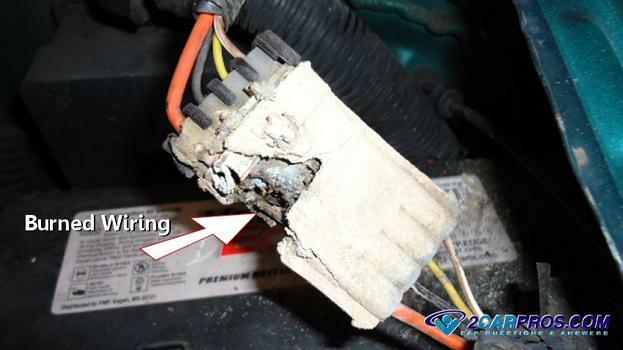 Step 4 - When power tests okay for power at the source such as a relay or fuse, yet power is not present at a particular accessory such as the cooling fan a test light can trace the problem down through a process of elimination. 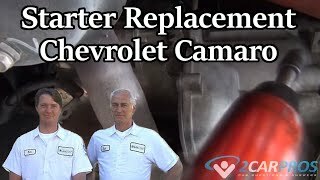 Step 5 - Power must be present at the large terminal of the alternator to charge, a test light performs this task easily. 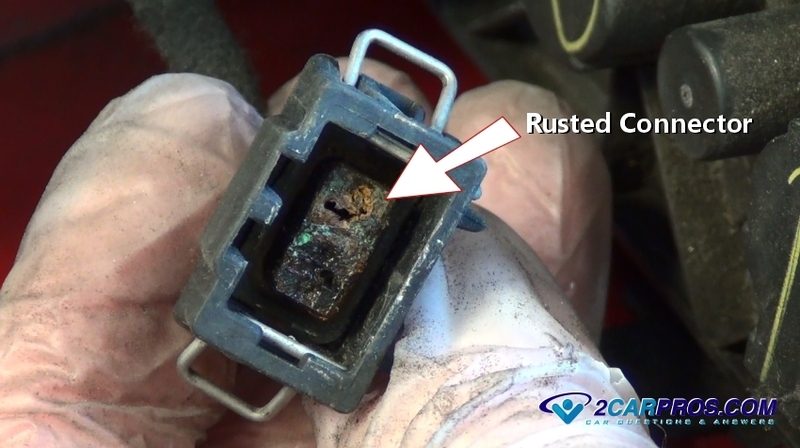 Step 6 - This electrical connector tested good while probing the wires before the connector, it wasn't until the technician removed the connector was the problem discovered. 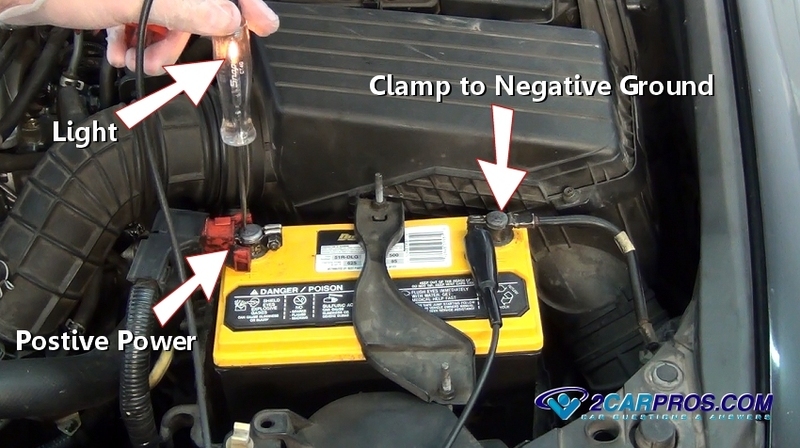 Step 7 - A test light can be used to test for power at the fuel injector, reversing the clamp to the negative side of the battery will check the trigger side of the injector circuit. 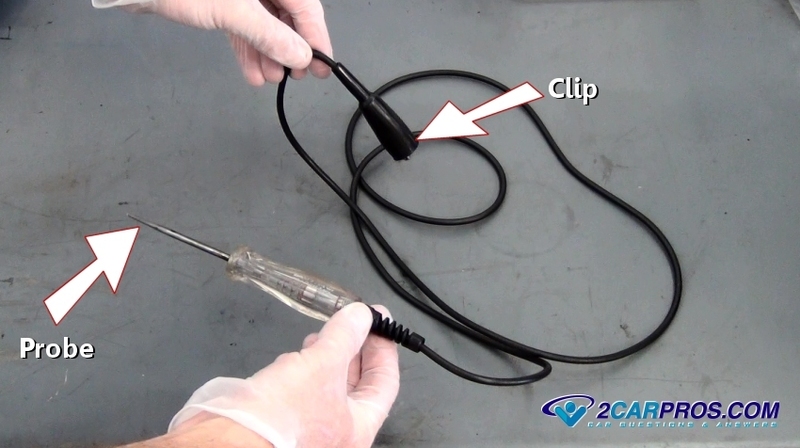 A test light utilizes a bulb held in a probe attached to a sharply pointed rod with a connection lead. 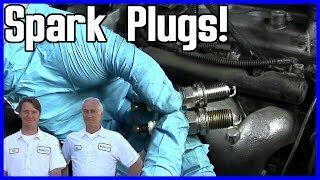 This design is optimal for piercing a wire, testing a fuse or checking the surface charge of a battery. 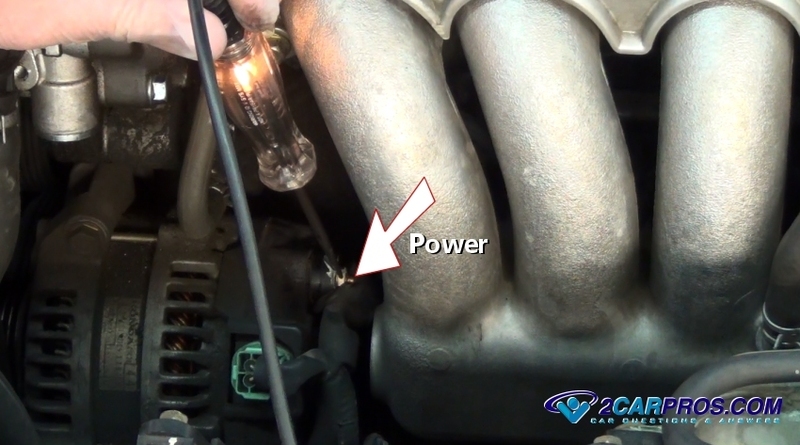 If power is present, the bulb will illuminate confirming the circuit has power and is operating properly. 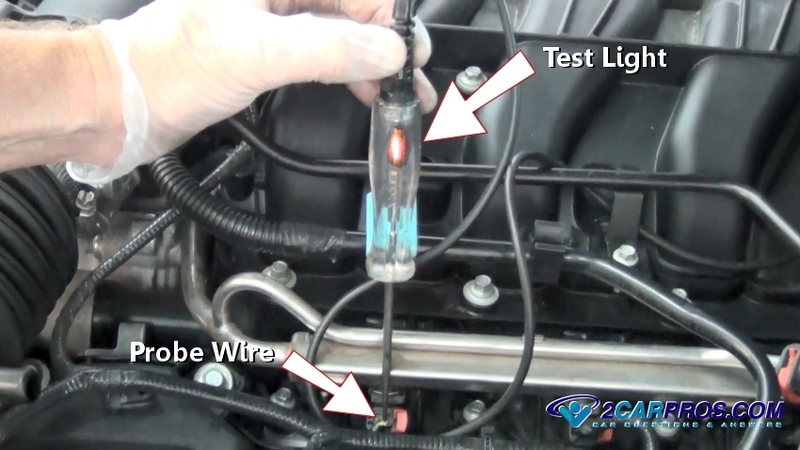 Also, reversing the test light lead to the positive battery to be able to check for system ground continuity. A voltmeter is used to check resistance and to give a voltage reading which can be used for more in-depth troubleshooting.